Looking for Dog-Friendly Activities in Naples, Florida? When you’re planning your trip to Naples, don’t think about boarding your furry family member! There are plenty of fantastic activities for you and your pet here. In fact, pet friendly Naples FL will have you wondering if the vacation you planned was for you or your dog. There’s simply that much to do here with your four-legged friends. So, where are some of the best things to do with dogs in Naples? Glad you asked! Here, we’ll talk about how pet friendly Naples, FL is and where you can make the most of your pet friendly vacation! Looking for things to do in Naples? You’ve come to the right place! At Naples Florida Vacation Homes , we are your resource for everything Naples. When you download our free Vacation Guide , you’ll find awesome ideas whether your dog is in tow or not. Download it today to find what will soon become your favorite parts of your Naples vacation. You’re going to love it here! You and your dog are both going to love your vacation to Naples. These pawesome ideas will make your bark in excitement and get your tail wagging! Curious about places to stay with your dog? Visit our post on pet friendly Naples area hotels and vacation rentals in Naples. This pet-friendly wildlife sanctuary is an 8-mile long barrier island. It’s one of Florida’s largest unabridged barrier islands and allows dogs! Dogs are allowed on the beach on-leash, you just have to get there by boat. Part of what makes a pet friendly Naples FL is the City of Naples Dog Park! 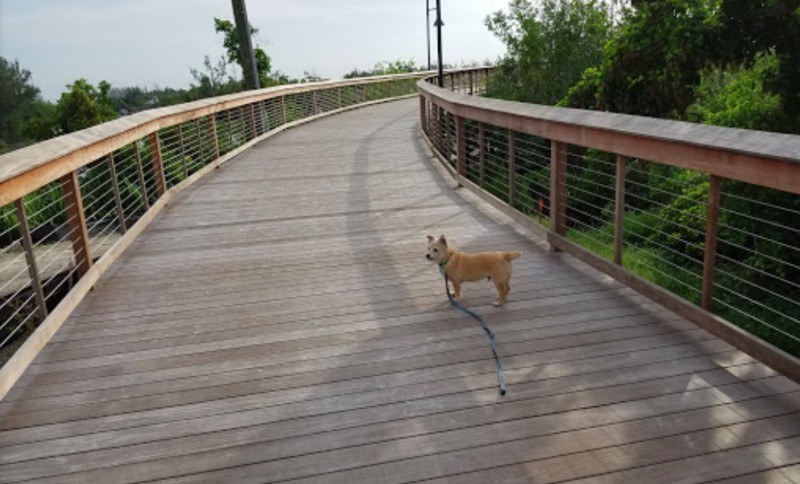 Affectionately named “Central Bark,” the park has 2.5 acres of space to roam, segregated off-leash areas for large and small dogs, water fountains, shade, dog-washing stations, courtesy waste bags, and plenty of space to run around! Naples Water Tours gives dolphin boat tours, sightseeing tours, and sunset tours. The best part? They’re dog friendly! Plan a tour and rest assured that Fido can come along, too! Located at Veterans Community Park, Rover Run is a off-leash dog park meant for both small and large dogs. They have separate, fenced-in areas for the different sizes so your pup won’t get mixed in with the big dogs. Does your dog like to stop and smell the roses? 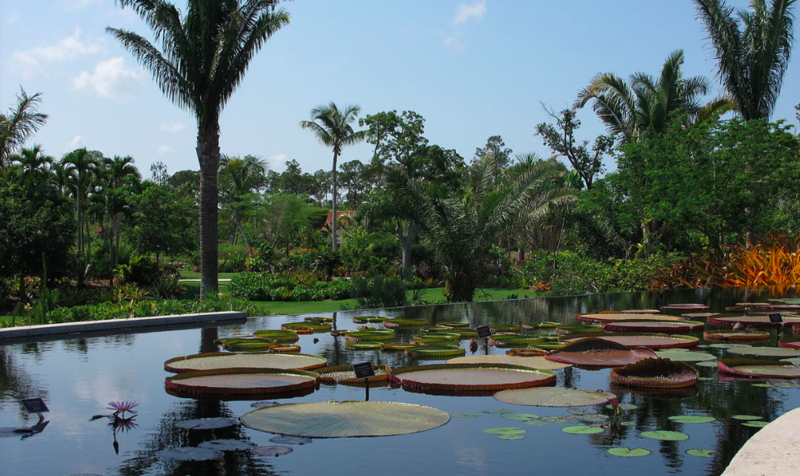 At the Naples Botanical Garden, Fido (and you) can do just that! Plants from the tropics and subtropics will brighten your view along natural habitats, walking trails, and butterfly gardens. All well-behaved, on-leash dogs are welcome! Bring your pup to SUP on Little Hickory Bay. Sweetwater is located on Little Hickory Bay offering waterfront access to all Southwest Florida has to offer. Dogs are welcome on paddleboards, kayaks, and private fishing charters. As you can see, there’s a lot of great things to do with dogs in pet friendly Naples FL! Plus, there’s more from where those came! To plan a pet friendly getaway, you first have to find a pet friendly place to stay! That’s where we come in. At Naples Florida Vacation Homes, we have just the place for your and Fido to call home away from home. So, browse our availability and see for yourself just how awesome a vacation here can be! Contact us today to book your Naples vacation!